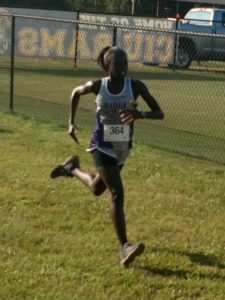 Blazer Cross Country competed at the Palmetto State Festival at CIU this past Saturday and beat the heat! Three Blazer Ladies also competed well, finishing the race – Leader Keyani Turner with an excellent kick and season PR, followed by Captain Jada Mack, and newcomer Sarah Hasan. The team was excited to see Ms.Guillozet’s brother win the college division and are looking forward to running in the Coaches Classic Meet this Saturday at Sandhills.